On April 17th, Lab Founder Dr. Michael Ben-Eli and Dr. Stefan Leu, researcher at the Blaustein Institutes for Desert Reserach of the Ben-Gurion University of the Negev, presented Project Wadi Attir’s Dryland Ecosystem Restoration Initiative at the 3rd Oxford Desert Conference, held at Oxford University’s School of Geography and the Environment. Stefan and his team are leading development of the program that has been registering some spectacular results. 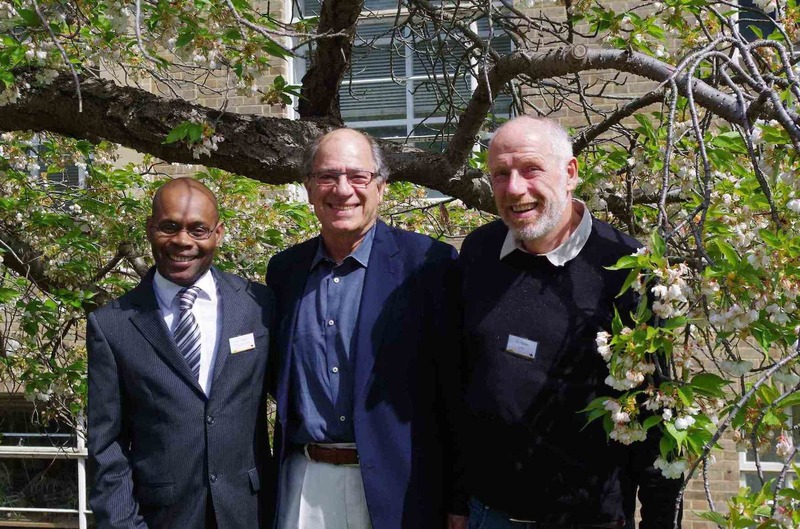 Left to right: Dr. Richard Byron-Cox, Dr. Michael Ben-Eli and Dr. Stefan Leu, during the 3rd Oxford Desert Conference. The conference offered the opportunity to spend time with Dr. Richard Byron-Cox, a senior officer at the United Nations Convention to Combat Desertification, and discuss areas of possible collaboration with the Convention.